ISSN=1798-596X. February 2018, Appendix figure 1. 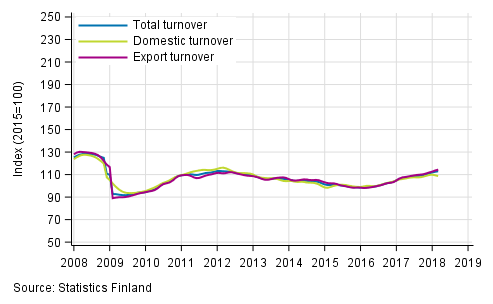 Trend series on total turnover, domestic turnover and export turnover in manufacturing . Helsinki: Statistics Finland [referred: 22.4.2019].